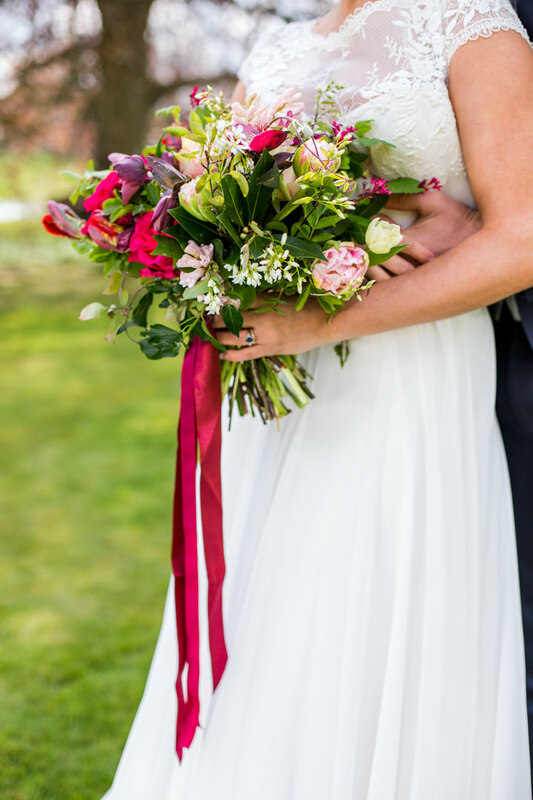 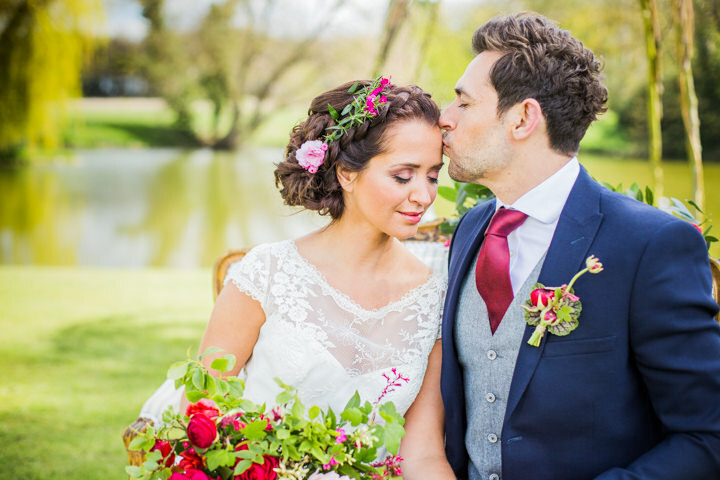 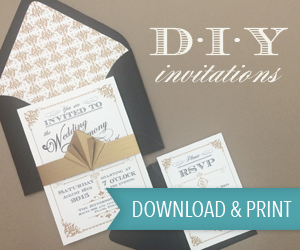 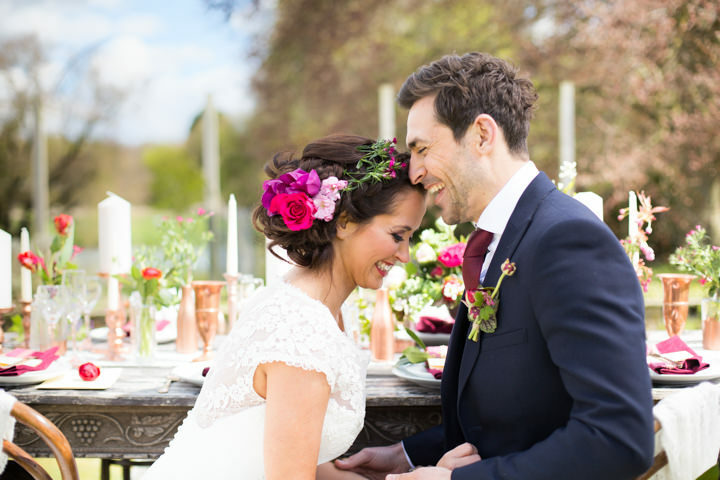 This afternoon we have a gorgeous styled shoot to share with you from Daisy Says I Do wedding stylist. 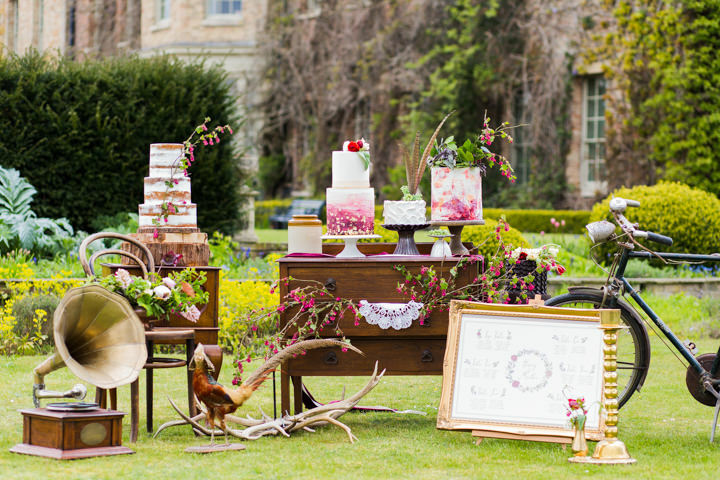 Set in the grounds of a fabulous Hall, the slight vintage rustic styling looks right at home next to such a grand building. 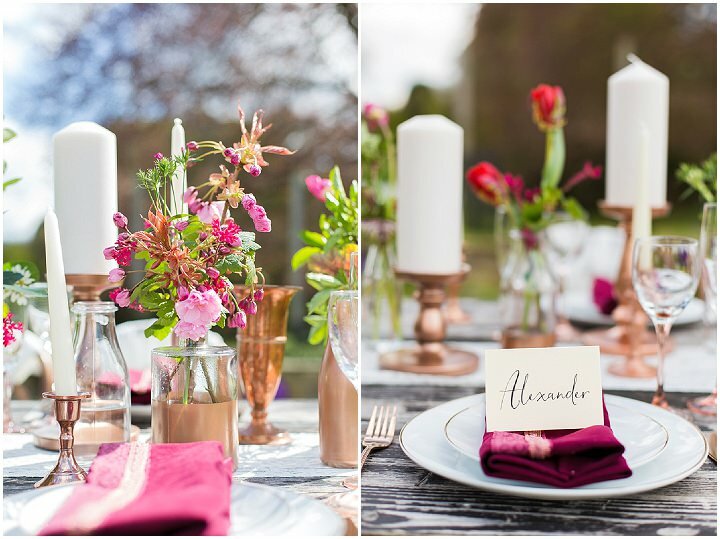 There is a rich colour palette and strong textures which gives this shoot a rather suitable Autumnal vibe given the weather in the UK this week! 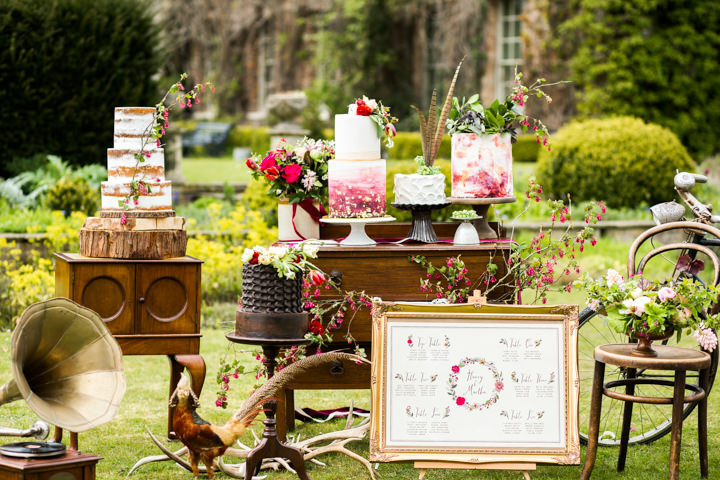 Just as this looks at home outdoors, I can image this theme working beautifully inside the Hall as well. 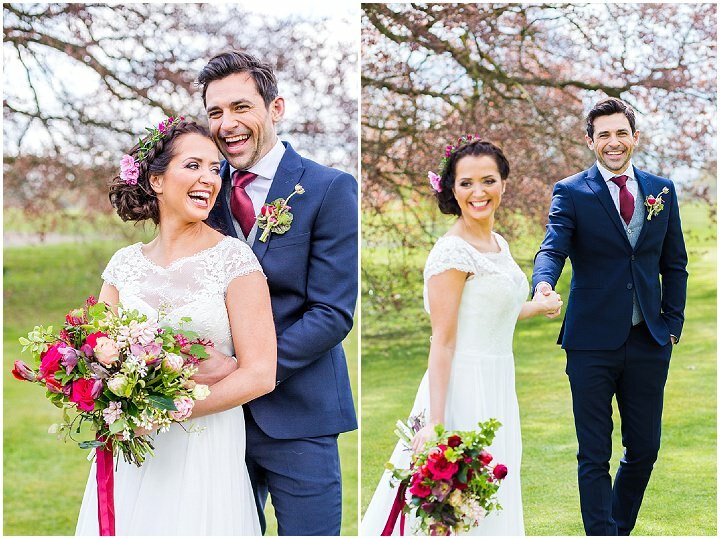 Many thanks to Tatum Reid for the images. 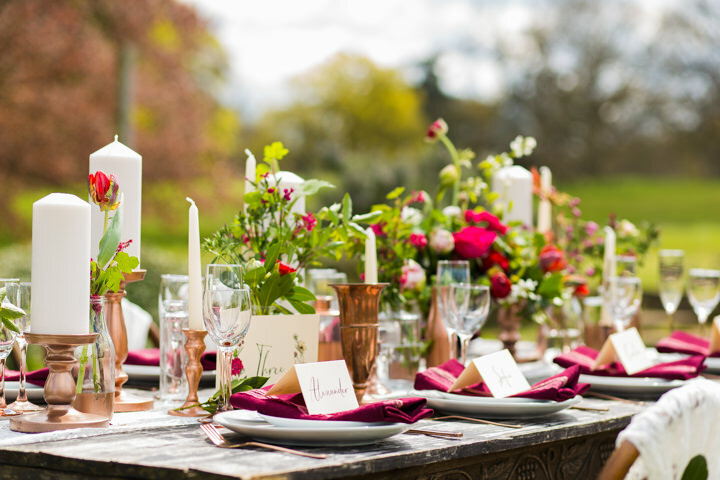 This was a beautiful shoot responding to the surroundings with lots of organic styling and rustic texture, the concept was to create a luxurious, romantic feel whilst maintaining a bohemian quality. 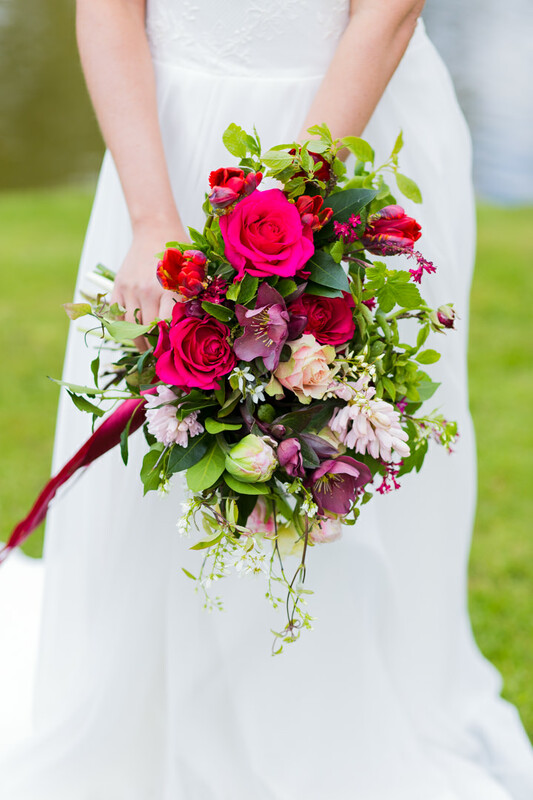 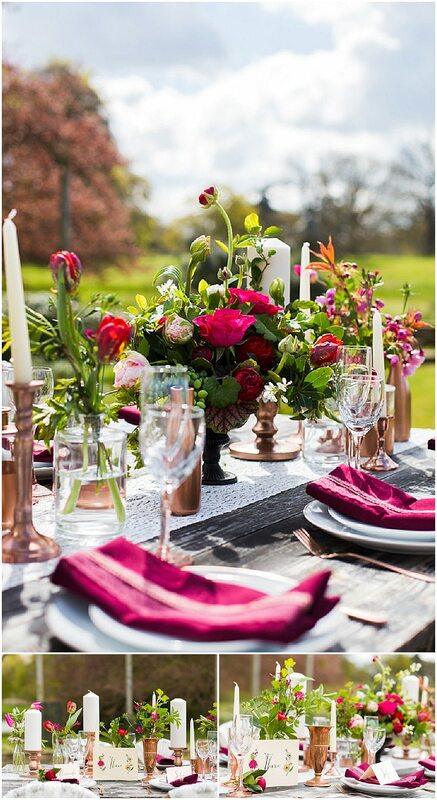 Using a rich colour pallet of reds and pinks coupled with a variety of textures including polished copper, lace and wood added depth and a rustic quality. 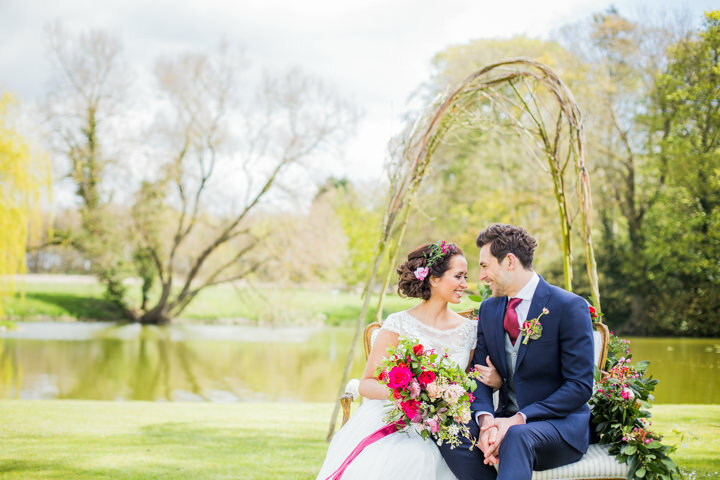 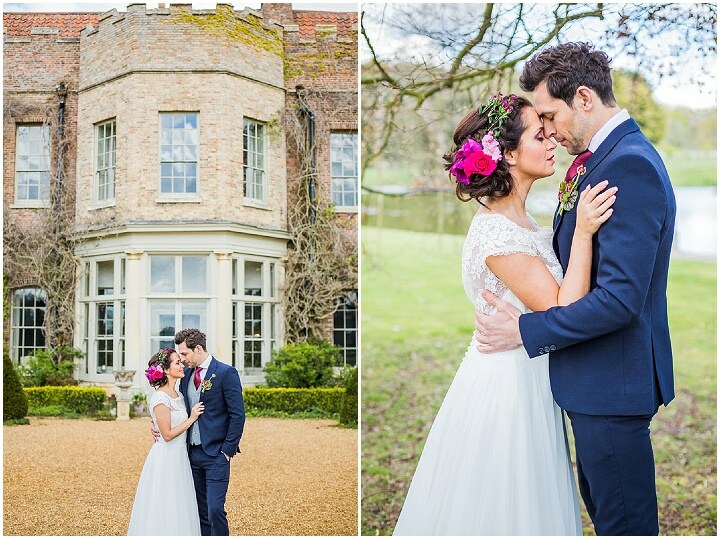 Narborough Hall and Gardens in Norfolk created a beautiful backdrop to the shoot and the weather held up just long enough for us to set up with stunning views over the lake and of the Hall. 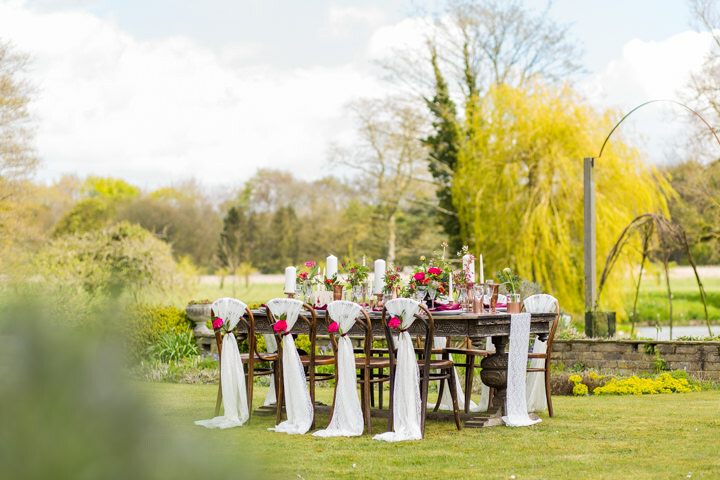 The venue really does epitomise Rustic Romance with its grand scale and rich textured gardens. 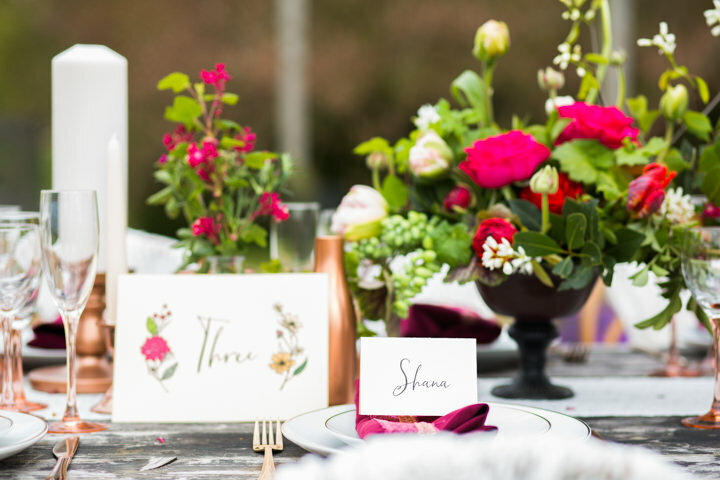 The natural greens of the gardens contrasted with our colour scheme allowing our smaller details to have a large impact. 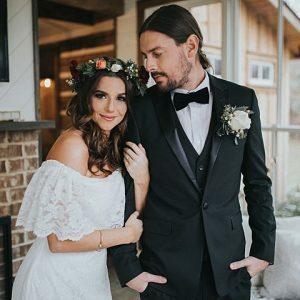 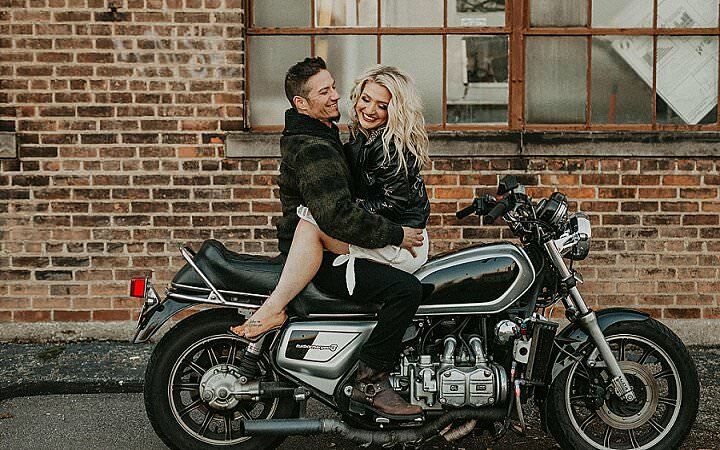 Tatum Reid is a photographer close to my heart, having shot my own wedding, I love her style and was thrilled when she invited me to style a shoot that she was planning. 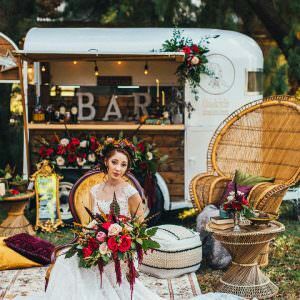 I knew her style would be perfect for the shoot we titled Rustic Romance and that I would love the images that she would create. 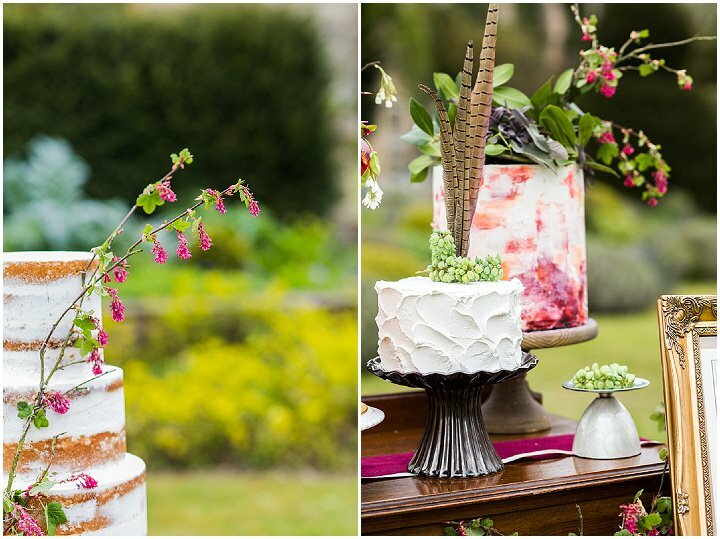 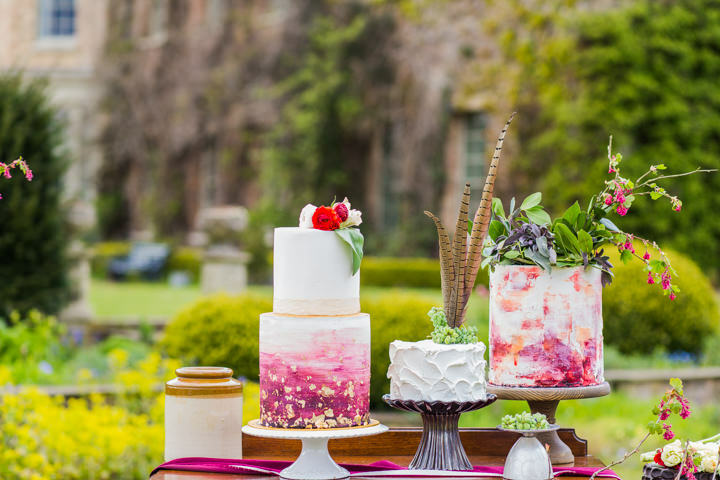 We took inspiration from the beautiful grounds and hall, and wanted to capture both the luxurious, opulent nature with the rustic elements of the gardens, the rich colour palette encapsulated this feeling perfectly. 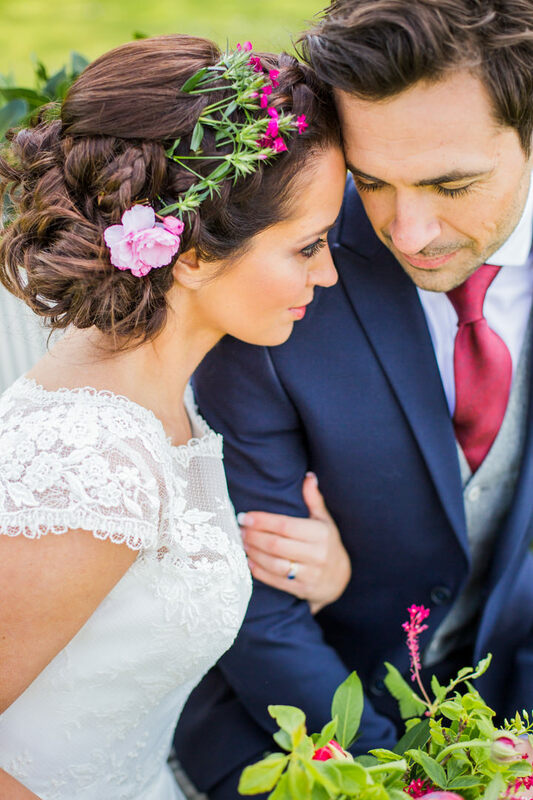 I adore the bohemian flower crown trend but hear many brides say that a Grecian gown and flower crown doesn’t suit them as they had hoped, we felt that this style offers an alternative whilst still capturing the bohemian feel. 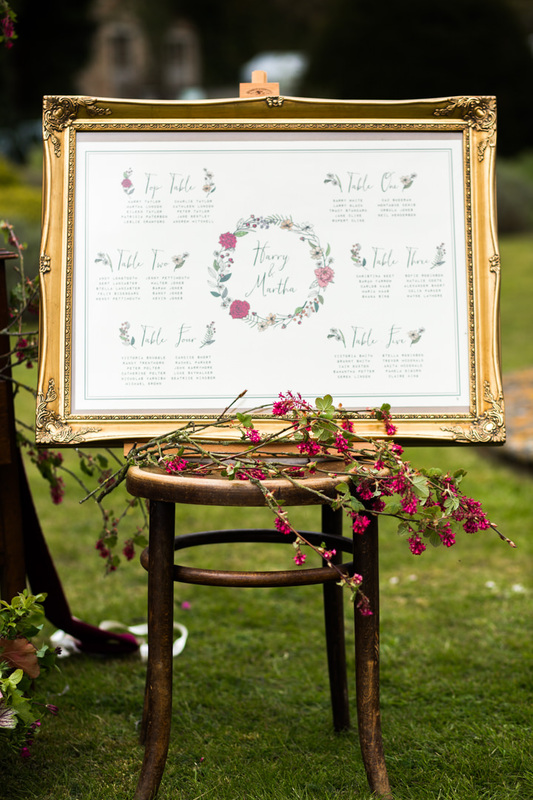 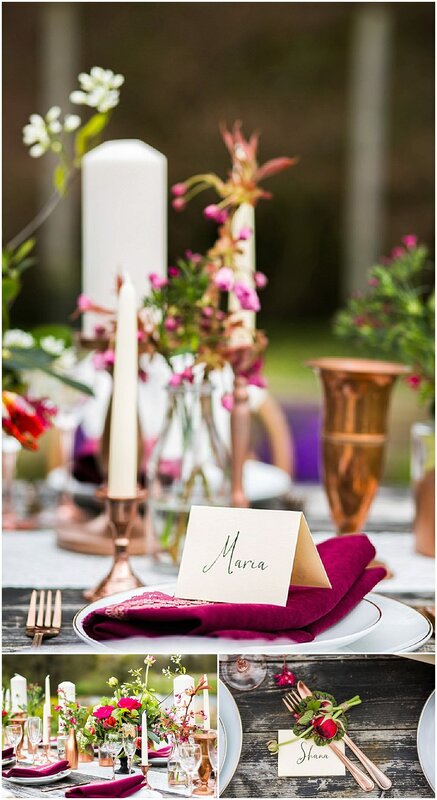 As a wedding stylist at Daisy Says I Do I am obsessed with detail whilst creating an overall theme. 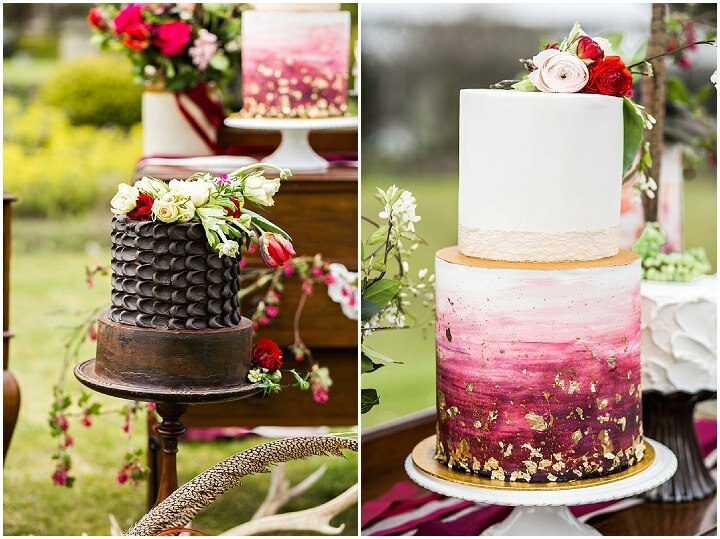 I wanted to create a richness by incorporating many layers of texture this was achieved utilising lots of surfaces from shiny and metallic through to lace and rough wood whilst using a limited colour palette to maintain a cohesive look. 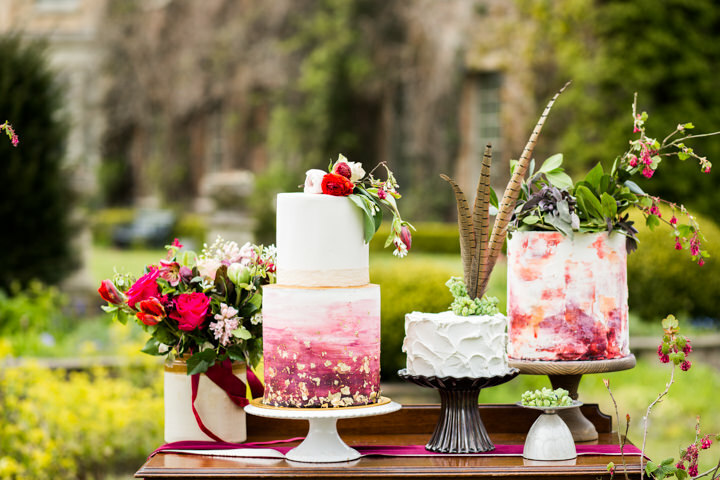 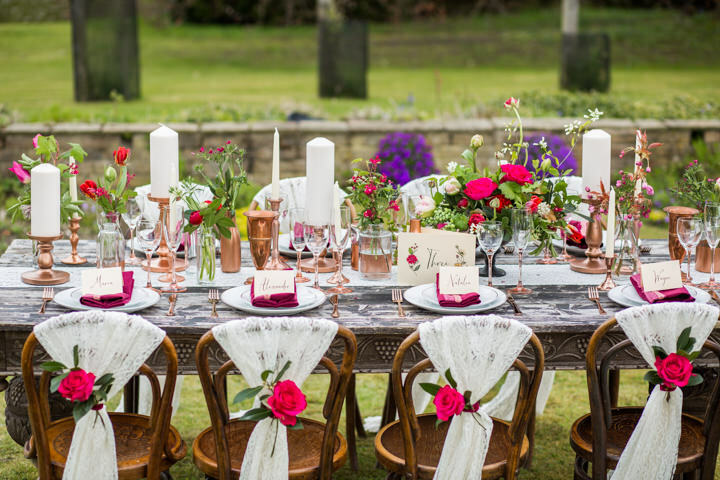 The reds and pinks combined with luxurious copper were filtered into all the details including the cakes, stationery, flowers and even the serviettes and tableware. 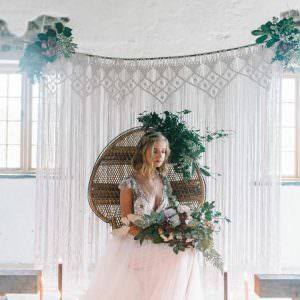 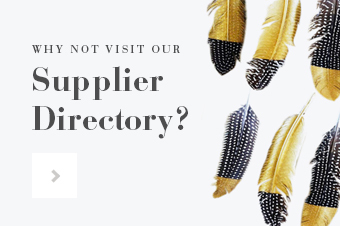 The whole look was achieved by developing a design and working closely with the suppliers and our photographer Tatum Reid to coordinate each aspect to ensure that the overall style was seamless. 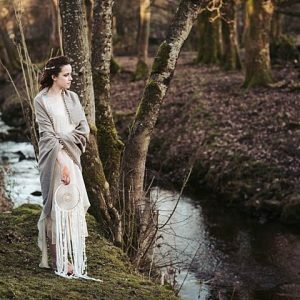 I have two styled shoots planned for Autumn and winter, one is an elegant, wintery black and gold art deco styled shoot, the other is a bohemian, free spirited style and whilst both contrast, I’m excited to develop a new take on some of my favourite styles. 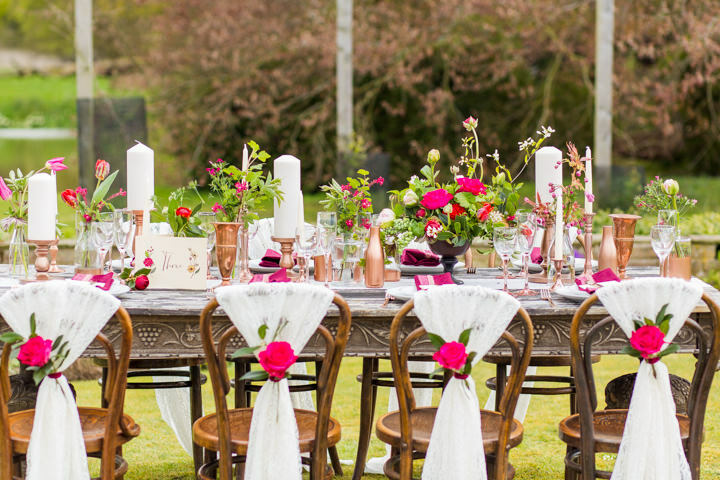 This luxurious rustic theme is so romantic and beautiful! 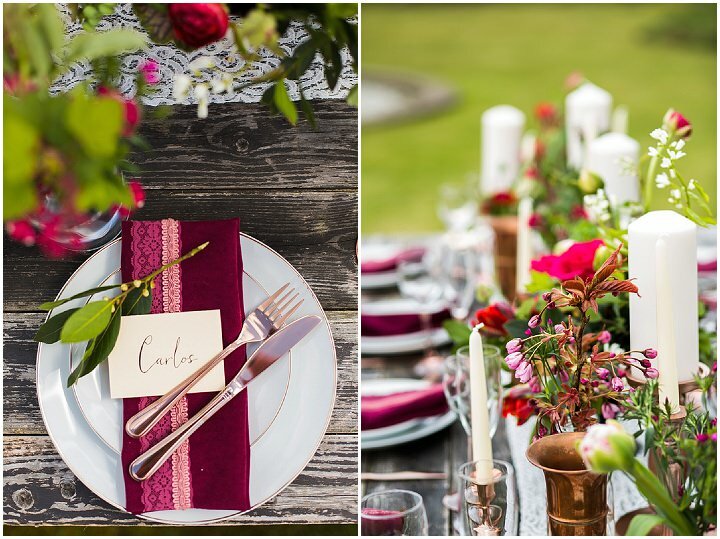 A perfect theme to incorporate autumn. 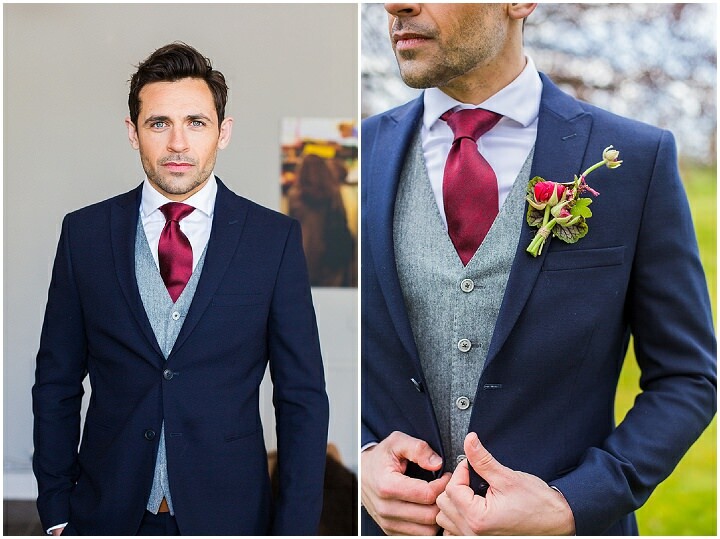 This has such a classy look to it.